When Porsche drivers need auto repair in Eugene, they count on the auto mechanics at Action Automotive. Because each one of our technicians specializes in a certain make of vehicle, we can offer our customers a unique combination of diversity and specialization. 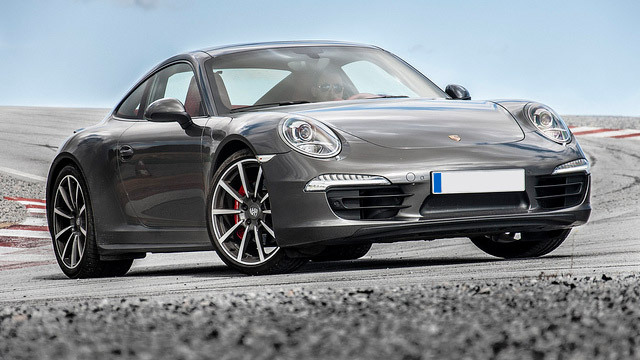 We have experience servicing almost all makes and models of cars, including Porsche vehicles. Your Porsche practically screams performance and luxury. Because of its powerful engine, it requires an educated and experience, albeit delicate touch. We know exactly how to service your car. Our auto mechanics have at least 60 years of combined experience between them, and our auto repair shop is equipped with the latest in tools, technology, and equipment. We offer Porsche dealership quality, but without the hefty price tag. Because we stand behind the longevity and reliability of our work, we offer a 24-month/24,000-mile warranty on Porsche service. It can be a challenge to find an auto repair shop that excels at not just caring for cars, but at caring for people too. If you have been prospecting for a shop having these values, then with Action Automotive, you have truly struck gold! Each member of our team, auto mechanics included, is compassionate and courteous. No matter the auto repair your vehicle requires, we are your shoulder to lean on. To schedule an appointment for Porsche repair, call Action Automotive now. We are located at 1491 West 6th Avenue, Eugene, OR 97402.